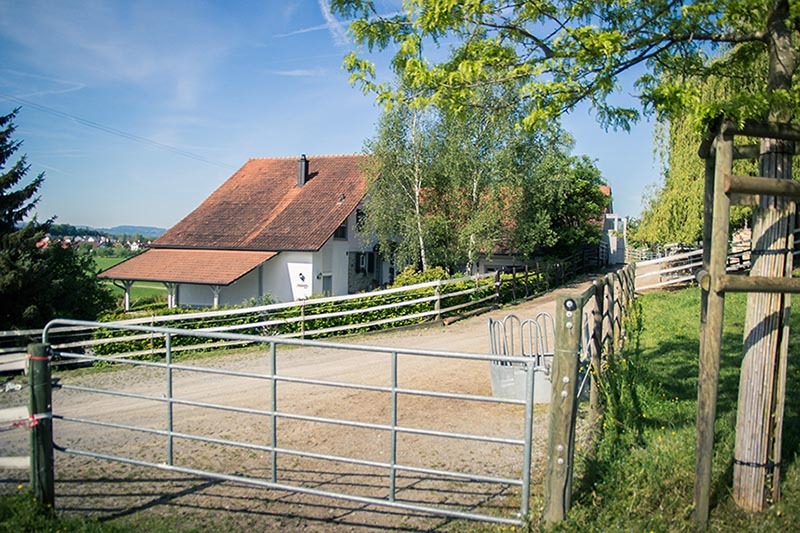 Our retirement home Wyberg is located 500m away from our stable yard Langfuri. 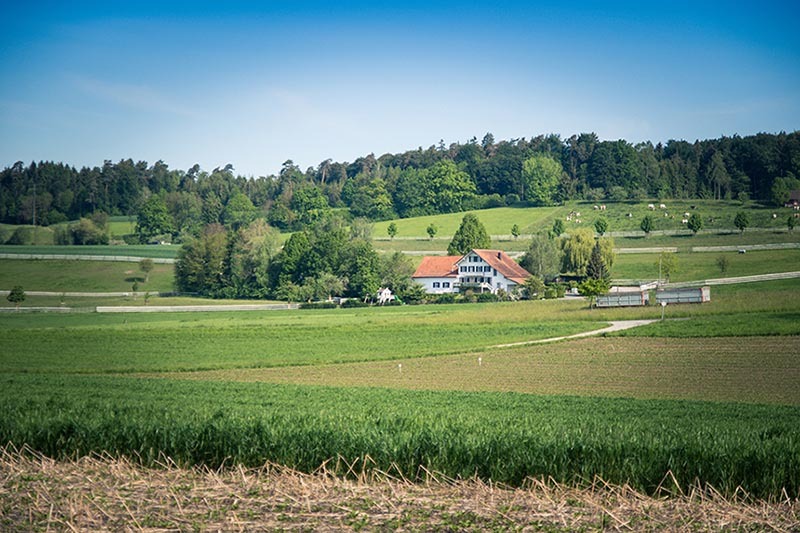 In 4 hectares of pasture, 20 pensioners enjoy their well-earned rest. 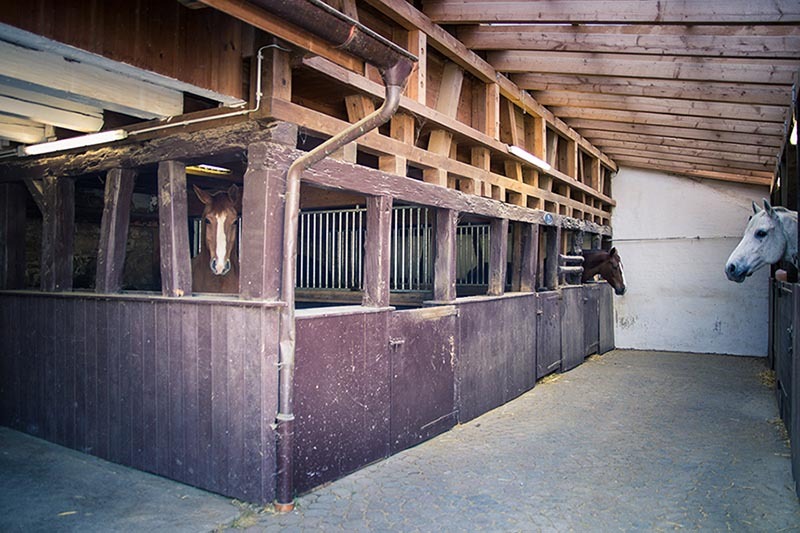 The horses are all individually stabled at night to ensure they have peace and quiet to eat and rest. During the day (in summer at night)they are in the fields in two groups. One group for the geldings and the other for ponies and mares. 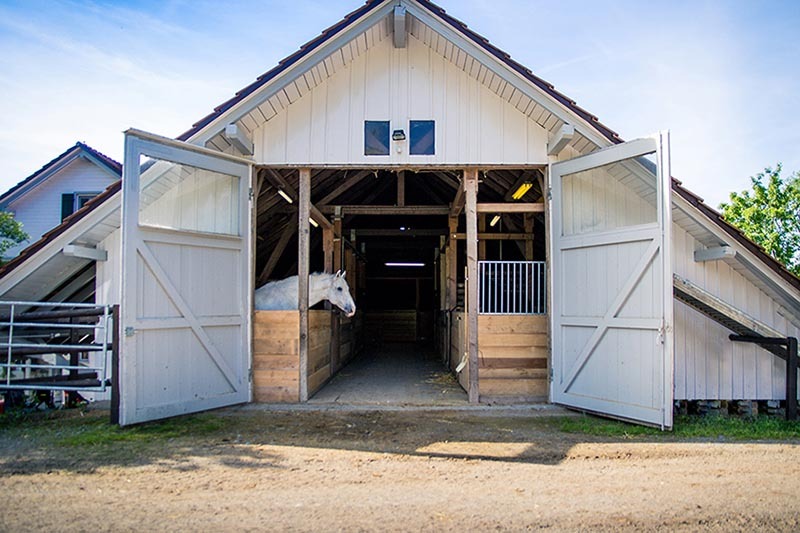 Depending on the weather the horses spend up to 10 hours a day in the field. They have a mobile drinker and all the fields are regularly harrowed and fertilized. 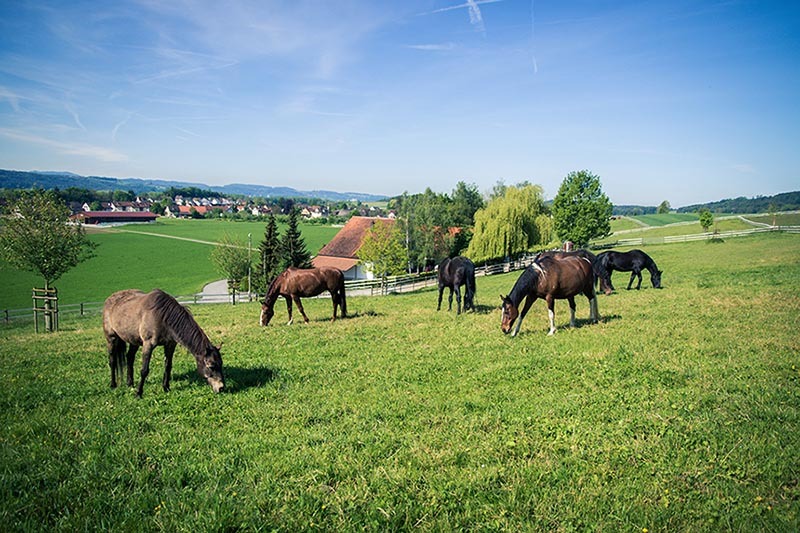 It is very important to us that the horses are fed according to their individual requirements. 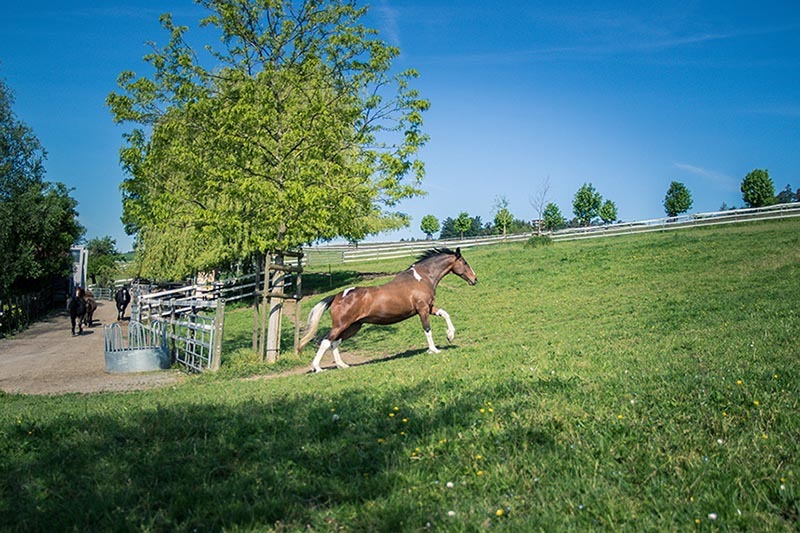 Our short feed consists of pellets, specially designed for horses at grass, and sugar beet pulp. 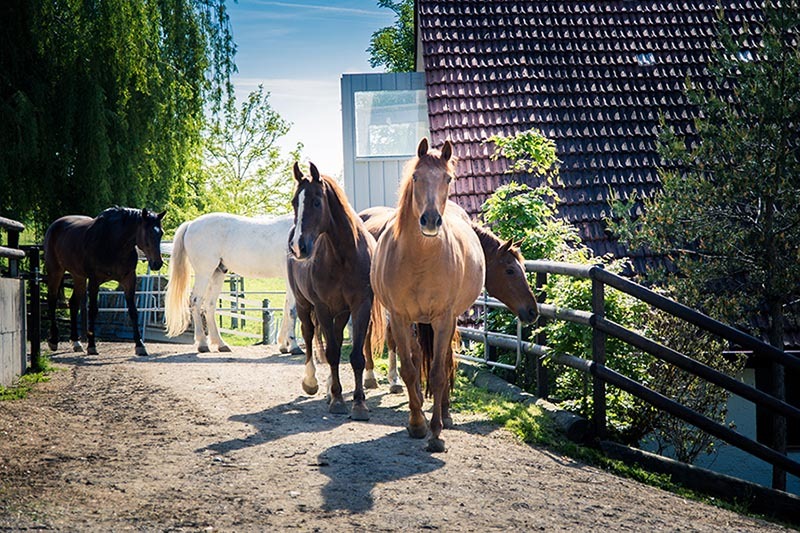 Sugar beet pulp is very digestible and helps to keep the horses in good condition. They are fed hay twice a day and have hay feeders in the all-weather paddocks. Their bedding is a mixture of straw pellets and shavings, mucked out daily, and they have a permanent supply of straw to eat. 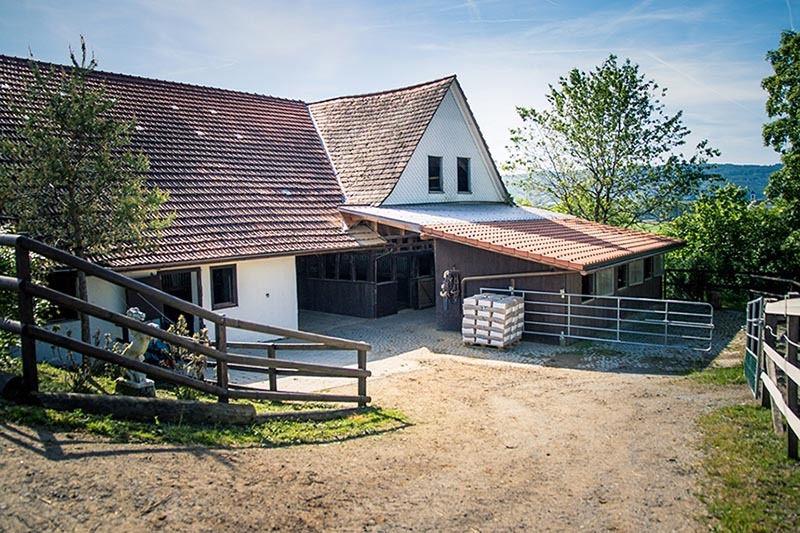 Dreimal im Jahr werden alle Pferde entwurmt. Die Wurmkuren stellen wir in Rechnung. Hufschmied und Tierarzt rechnen direkt mit dem Pferdebesitzern ab.